Marc D. Mezibov is an accomplished lawyer who has handled a wide variety of cases in state and federal court. However, he has found his niche in the practice of employment and labor law. Mezibov hails from the state of New Jersey and completed his education on the East coast. He received a B.A. in history from American University in Washington, D.C. then earned his J.D. from the Boston University School of Law. 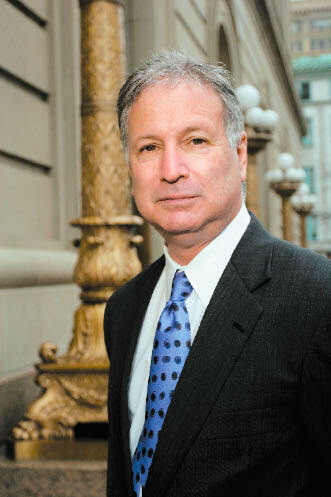 Mezibov began his legal career in Newark, New Jersey, serving as a public defender. In 1974, he opened his own practice in Cincinnati. When asked why he started his own firm, Mezibov jokes, "I needed to eat. " On a more serious note, he explains, " I evolved to find a practice area that I was most comfortable in. " Specializing in employment, civil rights, and discrimination law, Mezibov fights on the behalf of workers employed by both private and public companies. The focus on individuals is one reason why he enjoys his work. "This allows me to fulfill a sense of public responsibility and exercise a sense of creativity," Mezibov says. Though he has operated Mezibov and Jenkins, Co., LPA for more than 30 years, Mezibov does not consider his work to be finished. "I still see myself as establishing my practice. When one case is finished I have to think about the next case, situation, or challenge I will be facing," he observes. Mezibov's commitment to individuals can be seen when he is asked about his most important cases. "I don't think its fair to distinguish between clients and cases," he says. He does admit that some trials have given him experiences others have not, but choosing a favorite is out of the question. Notable cases include his involvement in successfully defending Dennis Barrie, director of the Contemporary Arts Center, against charges of obscenity for showing the exhibit "Robert Mapplethorpe: The Perfect Moment," and serving as attorney for George Ventura, the whistle-blower who sued the Cincinnati Enquirer after the newspaper's ill-fated Chiquita Brands investigation cost him his job. Despite the demands of running his own practice, Mezibov has been an active member of the local legal community. He has served as general counsel for the Cincinnati chapter of the American Civil Liberties Union. He has also served as chair of the Civil Rights Committee of the Cincinnati Bar Association.